Busy busy busy! It’s so common in our society to face co-workers, friends and even family who are just too slammed to talk or meet-up. It’s Mandarin Chinese learning time. What can you say to those people ?! We are going to learn a basic Mandarin phrase that you can use! Try to use this phrase next time you face a busy Chinese speaker. You might just stop them in their tracks and grab their attention, despite how busy they are! How to practice Chinese when you do not know Chinese speakers? When you make the commitment to learn a new language most people have one main goal in mind, and that is to be able to communicate using that language. Otherwise it feels like a wasted skill. But it’s not always easy to gain good speaking abilities, especially with a language as hard as Mandarin Chinese. If learning Chinese was like a video game, then I find that learning Chinese abroad is like learning Chinese on a ‘hard’ level. Unlike most other languages you can’t just try to say the words and let an accent slide. That’s because Chinese is a tonal language so not only is the word important but also the way you say it can change it’s meaning. Without a native speaker there to guide you, it can be hard to improve your mandarin skills when learning Chinese abroad. But bellow you can find some helpful suggestions to turn that ‘hard’ level into an ‘easy’! We can’t help but start with us! As many of you might know Lingo Bus provides individual tailored classes for children aged between 5 to 12 years old to fit your schedule. The classes are all done online with native teachers that have vast amounts of experience and have graduated from educational related degrees. The best thing about it is how convenient it is, even across the globe you get to practice with native speakers that can help you take your Chinese speaking skills to a whole other level! We’ve suggested this approach on one of our previous blogs as a way to introduce Chinese culture abroad. Well, it can also be applied for language practice. 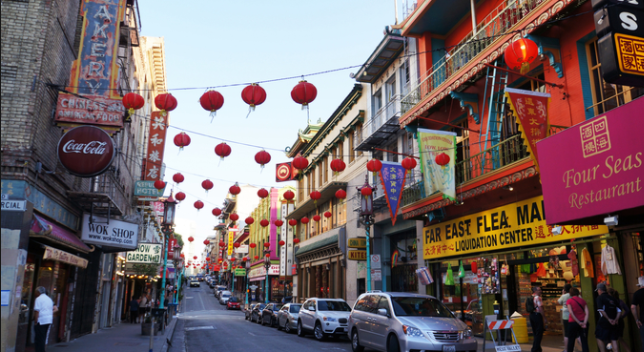 If you live close to a Chinatown it might be a good day trip, this can start by making a shopping list in Chinese and then buying these items whilst speaking Chinese! You get to practice all Chinese learning abilities, writing, reading, speaking and listening. This one turns more into a one-way conversation but it’s still a very useful way to practice Chinese. The only way to improve your language skills is to keep practicing, saving yourself for when you meet a native speaker is not useful. 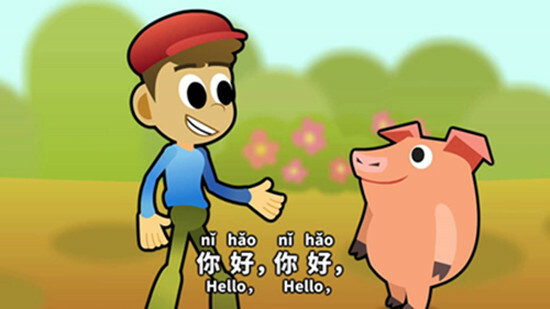 There are many kid friendly Chinese language TV shows and online games, for example ‘Ni hao, Kai-lan’ on nickelodeon. These can be used to practice listening and speaking skills. The show can be paused and the child can be given the opportunity to respond. It’s very easy to find platforms online that will provide age and topic appropriate Chinese language podcasts and videos. These can be used to practice listening and Speaking. Your child can listen and try to workout what the topic is about, what are they commenting on and then repeat to practice speaking. When speaking on your own it may be hard to know if you are using your tones in a correct way. You can check this by recording whilst you speak and playing it back later. But don’t worry about this too much at the start, what’s important is to actually try to speak!